Im planing to get some gladiator sandals but i don't know which ones to get. I have a choice between these two amazing gladiator styles. The first sandal is a turquoise sandal with faux reptile skin. 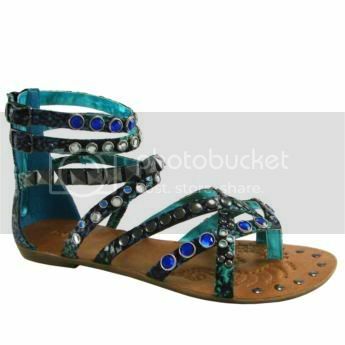 They also have multi-shaped stud embellished straps and adjustable ankle strap closure. 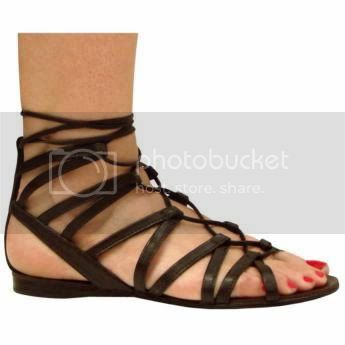 For my second choice of sandals i have a gladiator-inspired wrap around sandal with delicate ankle tie laced up the leg. It's a really hard choice because i have two choose which ones Im going to get when they are both amazing.